Djabe’s second studio album in 2008 was a real milestone. The first joint release The Ferenc Muck (saxophone), András Sipos (vocal, percussion), Tamás Barabás (bass guitar) and Attila Égerházi (guitar) line-up reveiced the Hungarian Musical Award, or Arany Zsiráf award in World Music category. Primarily the album is about Attila Égerházi’s and András Sipos’s compositions, with the outstanding work of Tamás Barabás as an audio engineer. In 1998 it was a rare thing to release a record alongside the quasi-standard CD format. Djabe thought it targets the small market of High-End fans who love to listen to analogue disks till this day. Luckily this market expands nowadays with increasing sales figures. The band’s choice was a successful one: Djabe’s album became a mandatory element of the tests of any and all High End séance thanks to the perfect quality of the record, the outstanding British printing and the airy acoustic sound of the material. Witchi Tai To CD and LP was compared on many occasions proving the vinyl disc’s superiority. The LP has a warmer, better and more natural sounding. It wasn’t a choice of chance that Djabe selected a composition written by Jim Pepper and numerous ethno jazz musicans for the title. It was a conscious targeting of audience, like Oregon, Jan Garbarek or Jack de Johnette fans. All other compositions are registered to Djabe members. 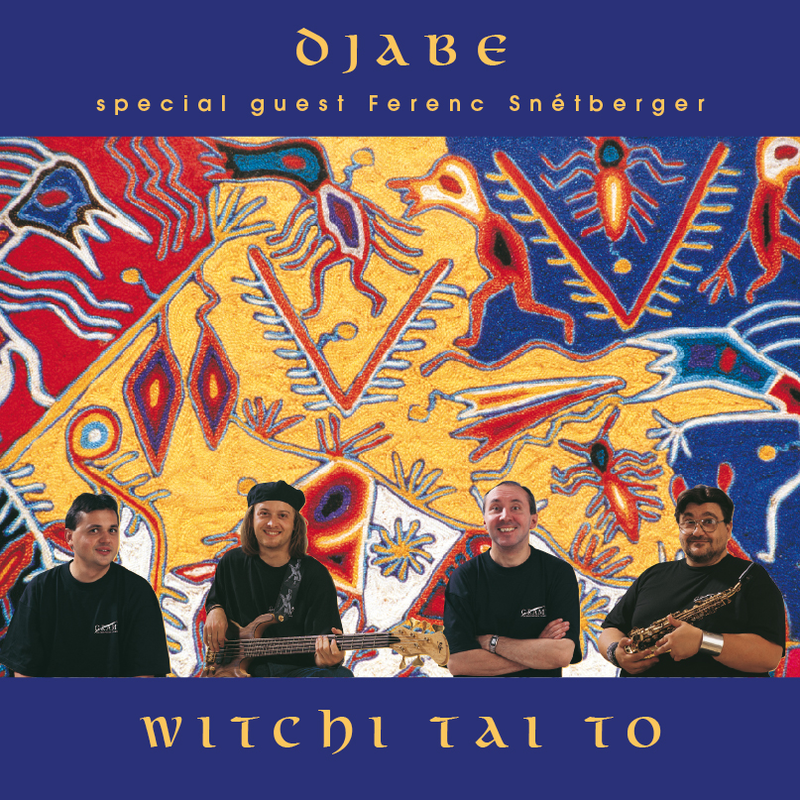 More than one later became core elements of the Djabe repertoire, like Visions, Desert, Ode, Island and, naturally, Witch Tai To. The LP contains almost 50 minutes of the CD version’s complete material. The band thought the content scarce for a double vinyl release so the analogue only contains the essence of the disc.